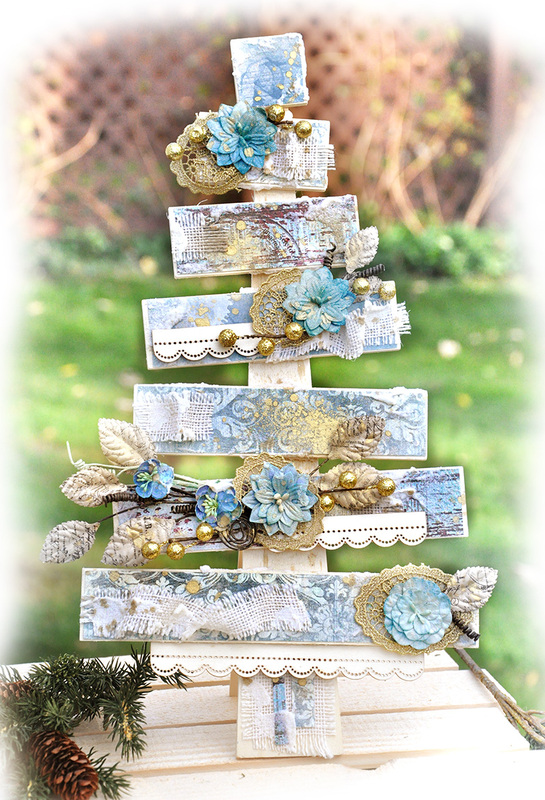 This is a wooden tree I made with the goodies packed into my Flying Unicorn kit for December. The wooden tree form was not included in the kit.that was something I picked up from clearance last year. 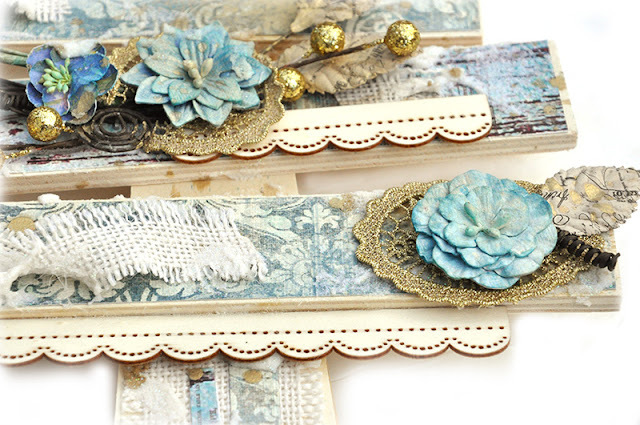 Time to get it decorated and make room for new clearance gems and after-Christmas discounts. The papers in the kit this month were from Riddersholm. 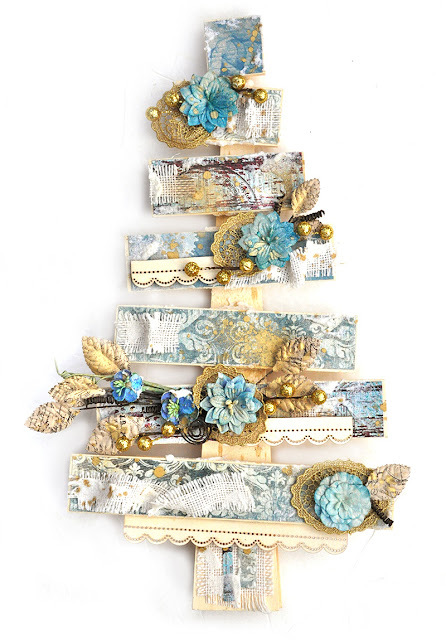 While not traditional Christmas colors, I thought they made for a wonderful rustic look on my wood tree. 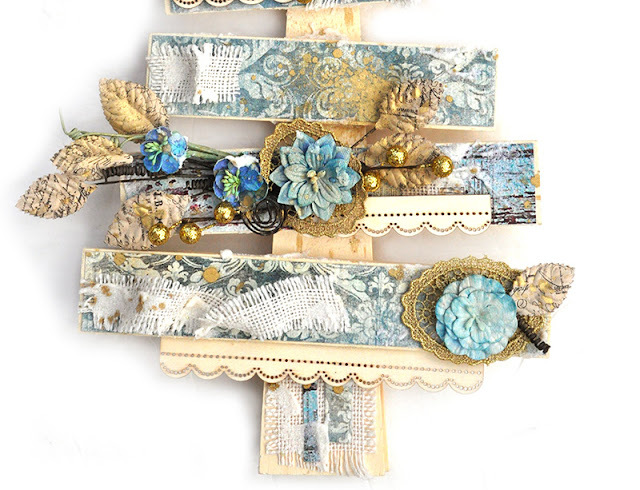 The scalloped pieces are Prima's wood embellishments that also came in one of the add-on's. Here is a close up. I accented the tree with some Prima vines and Petaloo flowers, some trims from Frank Garcia's Memory Hardware and some floral berries. 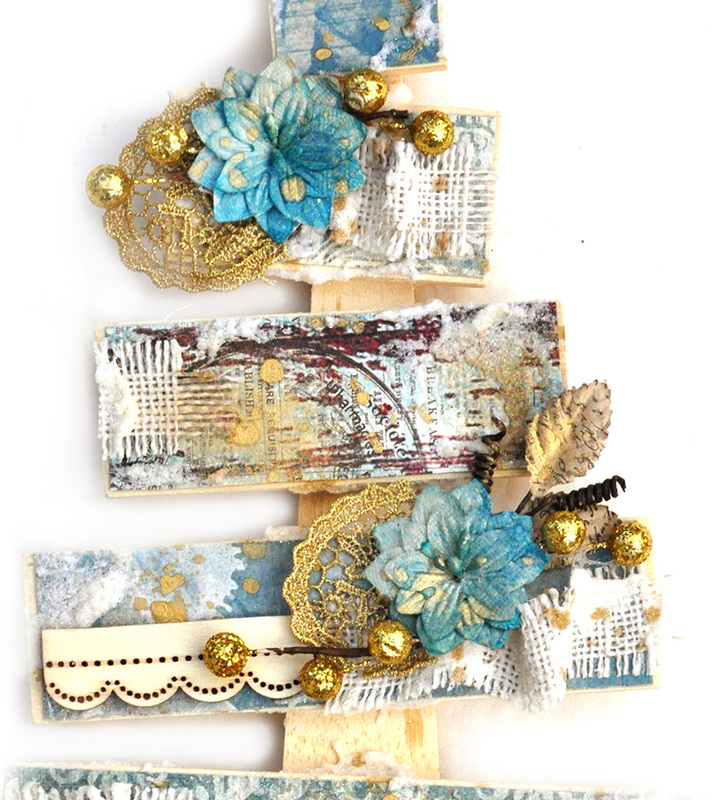 You cannot tell in any of these photos, but I topped the piece off with Prima's snowflake paste by Finnabair. I love this stuff! It has a little bit of sheen to it. Remember that the pre-sale kits start the 20th of every month. Never miss pout on a kit again and preview it first! What a treat. See all the details right here. The industry is one of the most promising industries that yield huge revenue to the country. Various government policies have been issued to support the industry. The scrap industry has proved beneficial to the economy as well as to the environment in multiple ways.